There are a variety of trail guides available exploring geology and landscape, and the building stones seen within the Geopark. The trail guides presents these geological stories to visitors who enjoy the countryside and would like to know a little more. 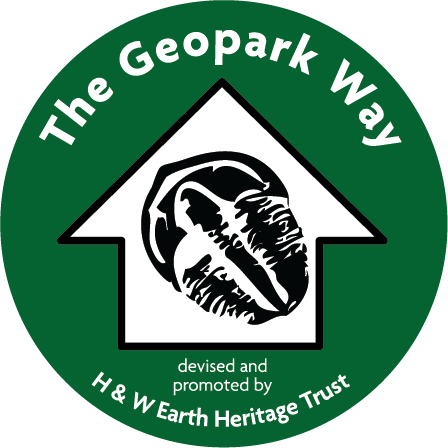 The Geopark Way – A route devised to highlight geology, landscape and associated heritage. It makes a sinuous north-south traverse from the Severn in Shropshire through Wyre Forest coalfield to the windblown sands of Hartlebury Common near Stourport, crossing to the Abberley Hills and then along the crests of the ancient Malvern Hills. 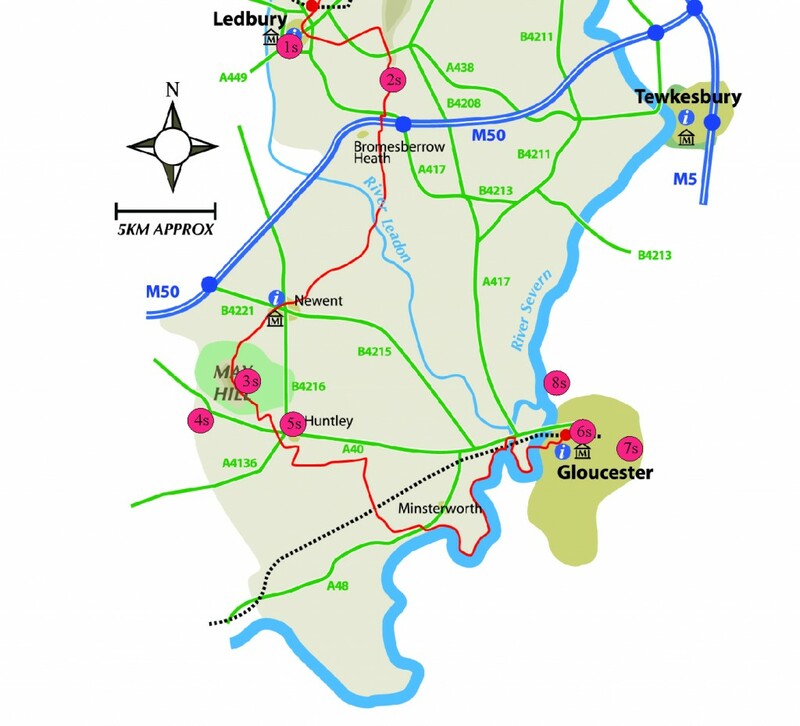 In Gloucestershire it traverses the Leadon valley and visits May Hill and Huntley Quarry Geological Reserve before crossing the Vale of Gloucester and Severn as the Cotswold Hills come into full view. It offers varied walking alongside rivers, through forests, along ridge-tops and across valley floors. Passing through an assortment of habitats, there is a plethora of wildlife adding to the occasion with stately views to match. Quaint villages and towns dot the route bringing further elements of exploration and enchantment. 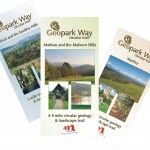 Geopark Way Circular Trails – The three trails (Alfrick and the Suckley Hills, Martley, Mathon) incorporate a section of the Geopark Way long distance walking trail. Each trail leaflet gives clear trail directions together with a geological interpretation of the landscape and outcrops found along the route. 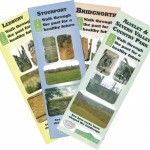 ‘Glouces tershire Uncovered’, ‘Explore Herefordshire and Worcestershire’, ‘Rocks make the landscape – Shropshire’ – Three series of trail guides published by the respective county Geoconservation groups . The guides take readers on a short, self-guided walks explaining the geology along the way. There are trails located in towns that explore the diverse uses of local rocks as building stones, whilst other trails are located out in the countryside that explore how and where the local rocks were formed and how they influence the nature of the landscape seen along the trail. 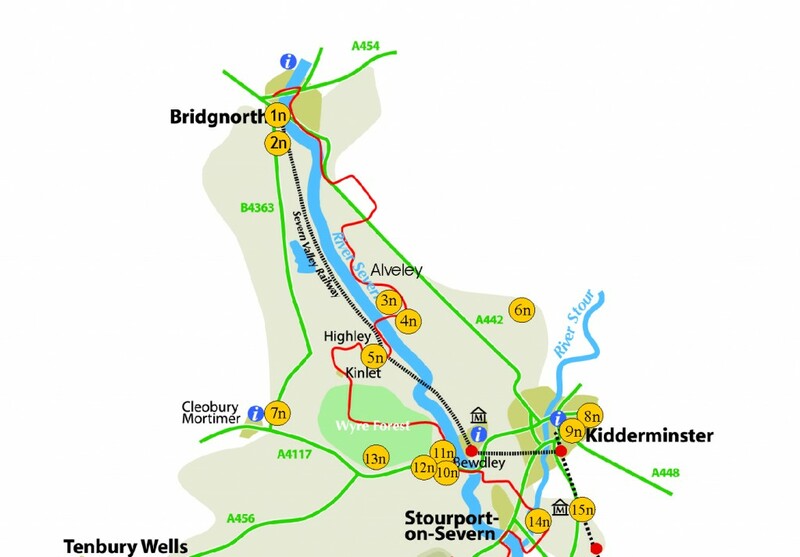 Walks For Health – Four self-guiding trails in Bridgnorth, Alveley, Stourport and Ledbury, along sections of the ‘ Geopark Way’. The four trails promote geology and landscape as an enjoyable and educational part of walking whilst encouraging participants to improve their lifestyle through regular exercise. Each guide contains a map of the route with detailed instructions as well as descriptions of the geological and landscape features that can be seen along the way. 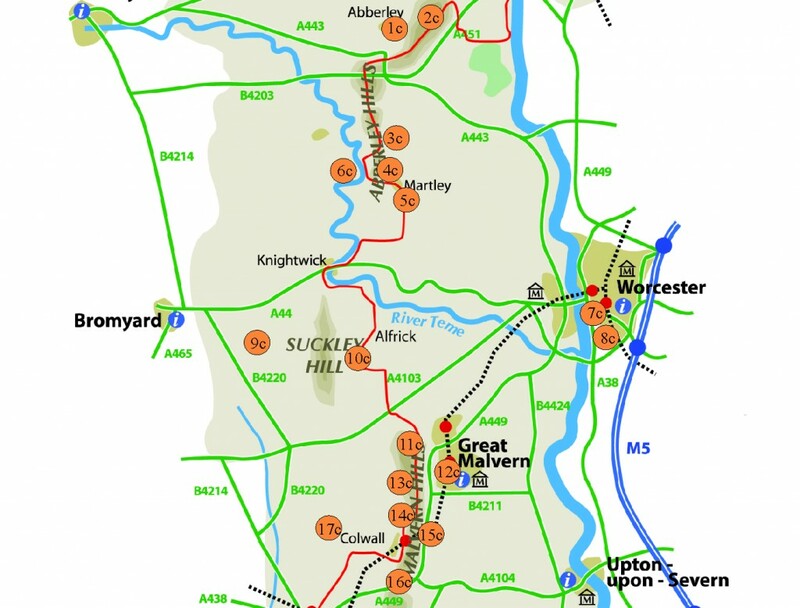 Additional information on public transport, tourist information, Ordnance Survey maps, other trails and the Abberley and Malvern Hills Geopark can also be found in each guide. Community Earth Heritage Champions Trail Booklets – These trails were created during an innovative project led by H&W EHT that involved local communities and organisations in improving the understanding, conservation and utilisation of a number of geological sites across Herefordshire and Worcestershire. Members of the local community around each site got involved in the project; focusing on conserving the site, understanding the geology of the site, exploring the history and wildlife of the site and utilising the site for recreation amongst other potential uses. 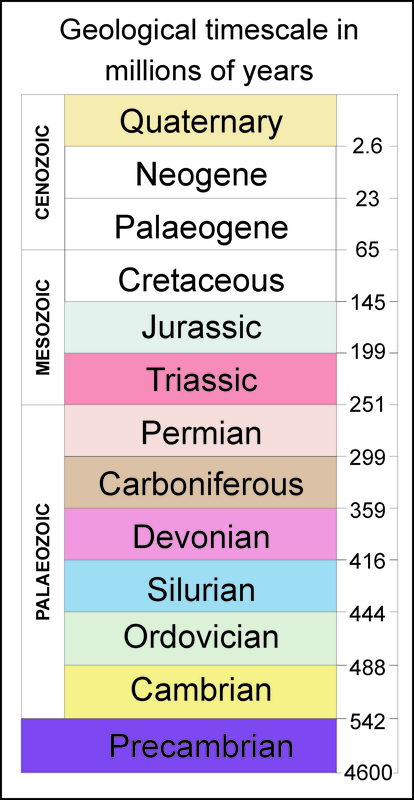 Martley Geo-village Trails – Martley is a parish of great geological diversity. Three geology and landscape trails explore parts of the geological history of the parish. Geologists in the Geopark Trails – A series of trails at sites and venues in the Geopark. The Trail locations are marked on the Geopark map below. To download a copy of the map click here. The Geopark Way long distance walking trail is shown on the map using a red line. The map has been split into three sections – northern, central and southern which corrolates with the map key. Click on the map sections for further information.